One central goal in ageing individuals’ late-career stages is to participate in working life, subsequently transition successfully into retirement, and to lead a satisfying and healthy life in retirement. In many ways, these goals are aligned with the policy orientation of countries facing challenges with global ageing. 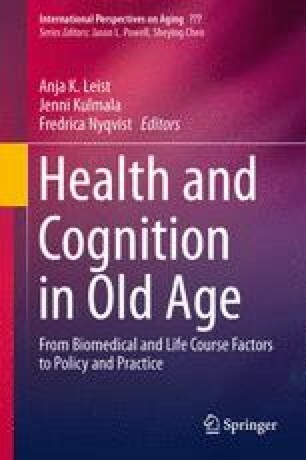 This chapter describes some of the current themes of retirement and late-career research, with a specific interest on the role of individual resource allocation strategies and human resource management in promoting the work ability of older employees. It will present the concept of bridge employment in the Finnish context, and the effects of normal retirement, i.e. after reaching statutory pension age, and disability retirement on employees’ objective health measured with use of hospital care centred around retirement. In addition to discussing the current findings regarding these topics, important facts to consider when designing future studies are highlighted. Academy of Finland has supported M.E.v.B. (grant number 250681) and M.B.v.B. (grant number 257239) in the preparation of this manuscript. We thank Professor Clas-Håkan Nygård for his valuable comments on a previous version of this work.